Thank you Herrera Elementary and Nottingham Elementary!! Today I want to give special thanks to a couple of amazing Houston-area elementary schools! The Houston SPCA would like to thank the Herrera Elementary Green Goat after school program for their fantastic fundraising efforts and their donation of approximately $300 to the Houston SPCA! “The students planned and organized the fundraiser themselves. They learned a little bit about the Houston SPCA during their after school program and they had questions about what the animals need and how we could help them. The students created flyers and posters to hang around the school advertising a bake sale, and describing what the funds were going to. The students convinced their parents to donate baked goods (either homemade or store bought). After school, the kids sold baked goods all around the school campus. The parents had brought in so much food that we were able to sell for two days instead of just one as we had originally planned. The Herrera Elementary Green Goat after school program is brand new, beginning in September of this year. They focus on environmental and community issues. This is a wonderful group of kids and we appreciate them so much! 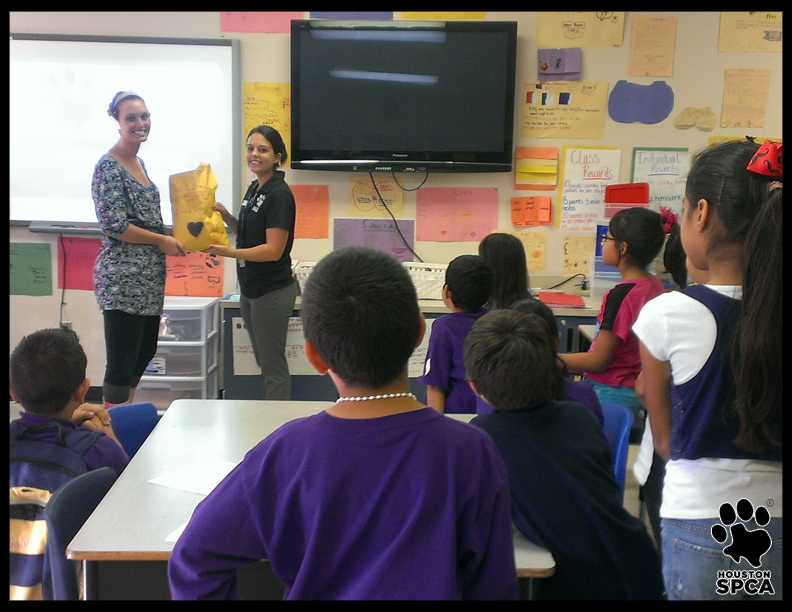 Thank you again, Herrera Elementary Green Goat program! 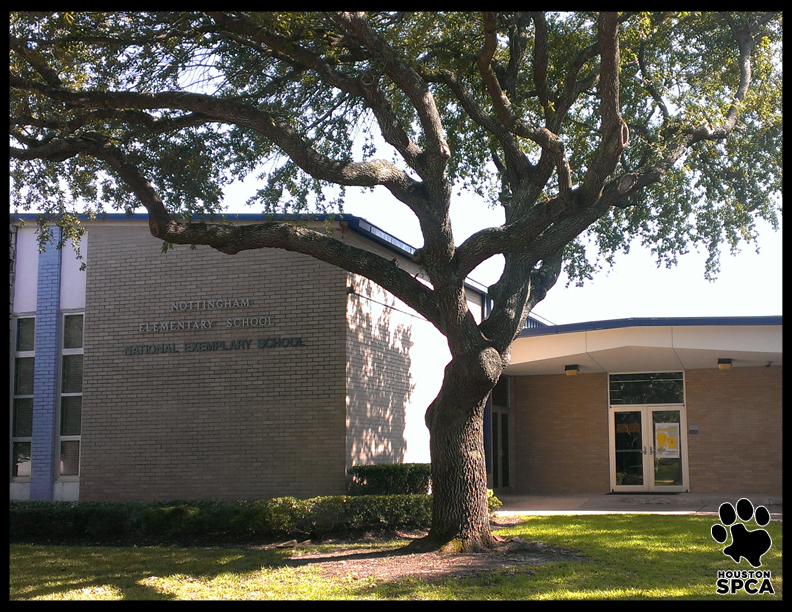 The Houston SPCA would also like to thank Nottingham Elementary school for their awesome donation to the Houston SPCA! As part of their ‘Acts of Kindness Week,’ Nottingham Elementary had a wish-list drive throughout their entire school and donated two full cart loads of in-kind items such as newspapers, toys, treats, beds, and food. We are so proud of their efforts to help give our animals a second chance at life. We cannot express how much we appreciate the efforts of the children at Nottingham Elementary school! Thank you!! Would you like to contribute to their efforts? Donate now at www.HoustonSPCA.org ! Categories: Houston SPCA, School Programs, Schools | Tags: After-school activity, Donation, Education, Elementary school, Fundraising, Houston, Houstonspca | Permalink.